When is Vinayaka Chavithi 2047 ? 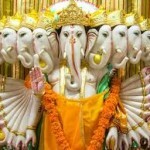 , Ganesh Chaturthi 2047, Vinayaka Chaturthi 2047. Vinayaka Chavithi is observed on Bhadrapada Sukla Chavithi or Chaturthi. Vinayaka Cahvithi is observed on the fourth day of the waxing phase of the moon in the month of Bhadrapada as per lunar calendar. If adhika Masam comes then Vinayaka Cahvithi is observed only in the Nija Bhadrapada Masam. This year Vinayaka Chavithi is observed on (Saturday)24th August 2047. Vinayaka Chavithi is observed to celebrate the birthday of Lord Ganesha. It is also on Vinayaka Chavithi that Lord Ganesha was made the head of all Vighnas (Obstacles). As Lord Ganesha is the head of all obstacles, it is mandatory that Lord Ganesha is worshipped first before starting any thing which also includes Puja. So even for performing any Puja, Lord Ganesha must be worshipped first, so that there are no obstacles while performing the Puja. 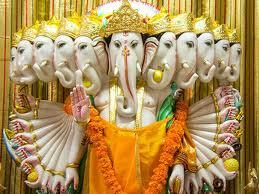 The best way to get the blessings of Lord Ganesha is by worshipping his idol which is prepared from clay.